The dictionary defines stop-gap as a temporary way of dealing with a problem. Just over three years ago, my problem was a lack of suitable transport. I plugged that car shaped hole by buying a much maligned Saab 9-3. It was only supposed to be a quick fling, but the Saab isnt far off becoming my longest period of car ownership ever. How?! I would have counted myself as a serial car buyer, regularly chopping and changing when the feeling arose. There are many cars that I admire and want, so when I ticked one off, I’d move on to the next. Yet somehow, I’ve rattled off over three years of Swedish Vectra ownership. If you asked me straight out if I liked my Saab 9-3, I’d say no. Yet it’s still here, parked outside my house, fulfilling all duties with aplomb. Well, maybe not aplomb, but with a significant degree of competence. As a keen motorsport fan and like nothing better to trek the length and breadth of Ireland, to attend various events. 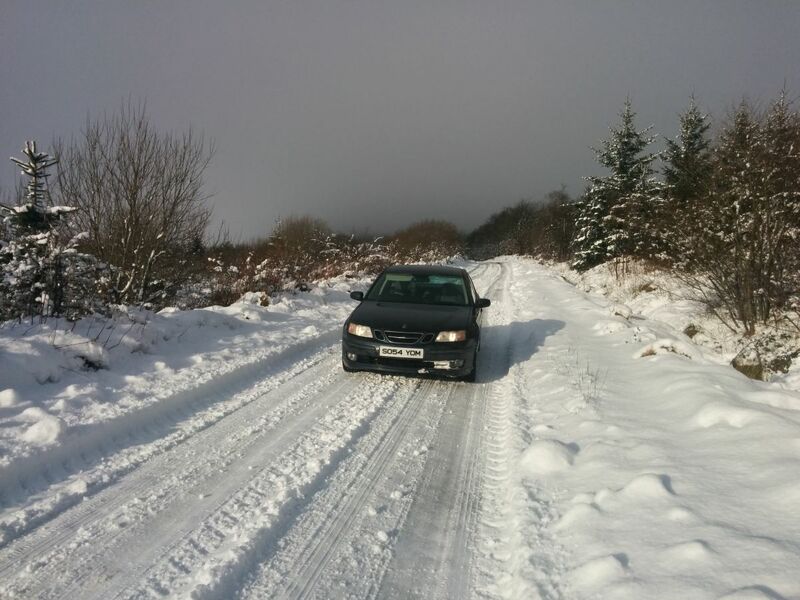 At the turn of 2013, I decided I needed a car to go to County Galway to watch the opening round of the Irish Tarmac Rally Championship. 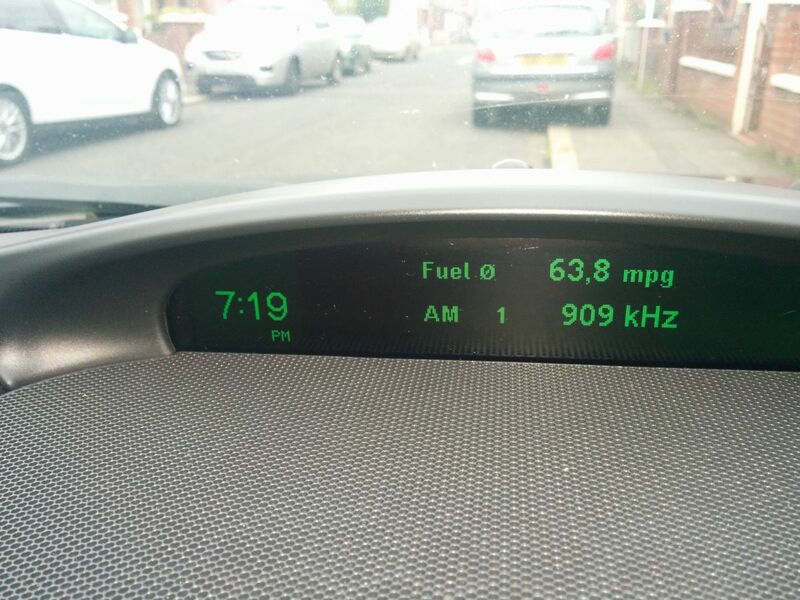 The car had to be comfortable, economical and importantly, not a chore to drive. The 9-3 ticked all the boxes: a fine class-leading diesel engine, cruise control and a roomy cabin with plenty of quirky features. Plus the 9-3 was cheap. Because the 9-3 looks like euthanasia in an automotive package and no-one wanted to own a car that was considered defunct. The budget was set to a ridiculously low level. It was supposed to be disposable motoring, after all. Buy the car, get the job done. Ship it on. 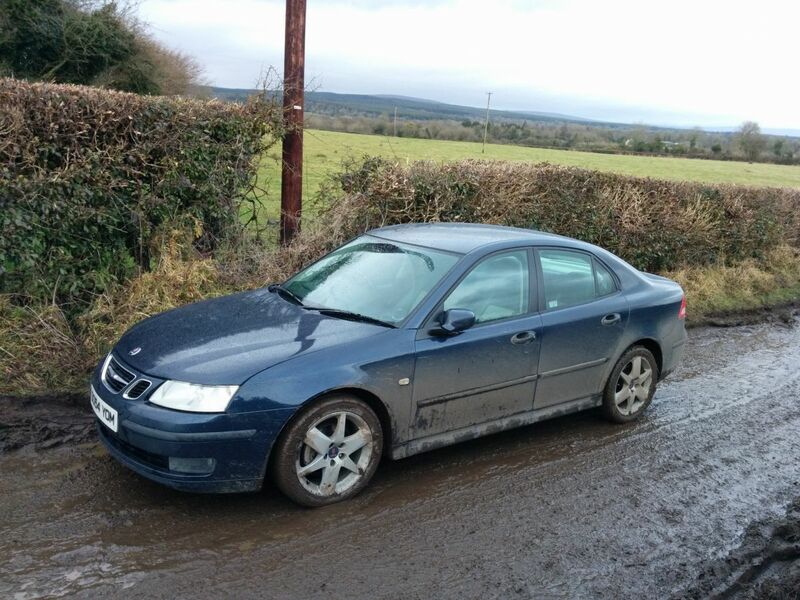 So when the cheapest Saab 1.9 TiD Vector (Sport) appeared on UsedCarsNI, I was all over it. The early impressions were good. Two owner car, same family, straight from a major car auction in Scotland. Jackpot! The car itself seemed pretty honest but the smell from the interior was horrendous, like fermenting silage. 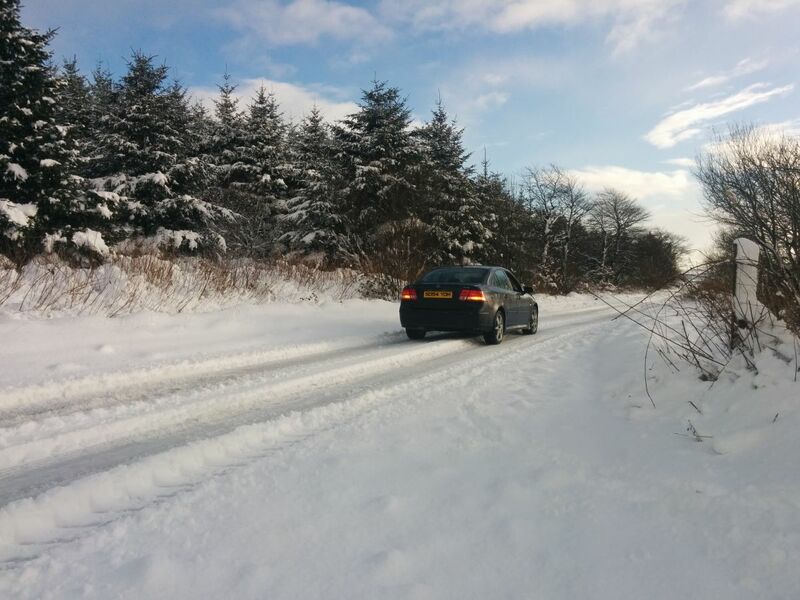 A test drive revealed a knocking front suspension arm, but otherwise it was a truly uninspiring and uneventful drive. Perfect! It really was as dull as all the online buyers’ guides had promised. A bit of solid haggling later and I scooped myself a Scandinavian executive saloon. The honeymoon ended rather abruptly with sporadic starting issues. A new battery cured this for a while, but the problem returned. As the GM Accountants insisted on screwing only the shoddiest components on to the superb Italian designed engine, starters and alternators were notoriously weak. I nullified this problem by heading off to Galway with a spare battery and a set of jump leads. When the car didn’t want to start (you really never could tell when), out came the battery and leads. Job jobbed. All in all, the trip to Galway was a success. The mighty Saabasaurus returned 60 odd mpg with the cruise control on, the half leather seats were supportive in all the right places and electricity issues aside, it never skipped a beat. As an added bonus, it was cheap enough to park in a grass verge and not worry too much about it. An impending MOT meant the mighty Saabaru got an all expenses, luxury weekend for one to a specialist. The starting issue was finally resolved, the clunky front suspension arm was changed for a new non-clunky one and I got berated for not noticing that the pigtails on the two back springs were broken. Regardless what state the springs were in, compared to the stiff sports suspension of my other cars, the 9-3 felt like a luxury magic carpet ride. Whilst the Saab was never viewed much more than purposeful A to B transport, we developed a bond. I knew if I looked after it, it would look after me. It might have picked up the odd blemish and swirl, but every so often, the polish and wax would come out. The car always has scrubbed up well. We’ve racked up some serious miles and visited all four corners of Ireland. From Castletownbere to Clonakilty and Downings to Dromore, the ever present 9-3 has soldiered on regardless. This year, as the car strolled towards 140k, my thoughts turned towards a replacement. Something of a similar ilk: well equipped; comfort; half decent handling and a big mile muncher without a drinking habit. There just isn’t anything in the value end of the market that comes near the Saab. One of life’s eternal conundrums – what is the best car ever made? Usually, after some sort of extensive test through exotic, winding passes in far off lands, or after a jaunt to an iconic race circuit or indeed both, the motoring media will deliver their verdict. A lightweight, pumped up supercar, with advanced engine technology and suspension borrowed from F1. They’re all wrong. The best car in the world is a 2005 Saab 9-3 TiD. And this break up is going to be more painful than I ever imagined. Nice article. My brother has one also (1.8t) and he loves his. Great article. Strange how some cars just 'work' in a particular place and time in our lives that we never imagined would. For a budget, carefree mile muncher, this sounds spot on. Beyonce? I'd quite like Beyonce. Pretty much how I felt about mine. Comfy cars that just work. I haven't missed it though Tbh. This must be thread title of the year. I've had that Eurythmics song in my head ever since seeing this thread! I find these kinds of reviews a lot more meaningful, probably as I can relate so much more to them, great read cheers!